It’s no secret that the Naaaaaaaaaaaaaaaaytcha Boy is set to hang up the boots for good pretty soon (probably at Wrestle Mania) so from now on, we will be posting video clips old and new showcasing the greatest professional wrestler in the history of the sport. 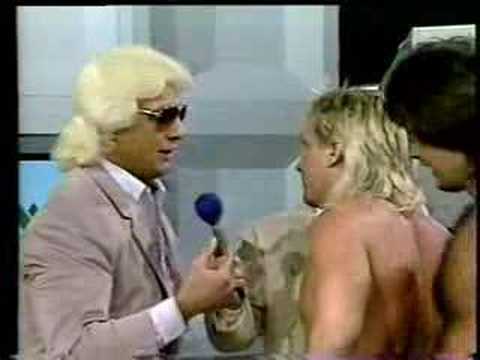 The man could do no wrong, and its hard to imagine not seeing Ric Flair on TV in the near future. Here’s one for good measure: Woo!